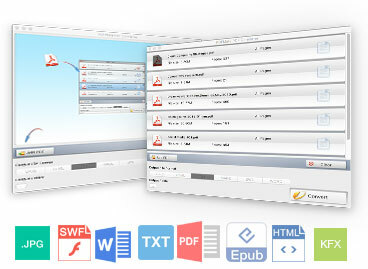 PDFMate eBook Converter is a combination of eBook DRM removal tool and eBook Converter. It can easily remove DRM from Kindle, Adobe, Kobo & Nook eBooks and convert them to DRM-free EPUB, PDF, MOBI, AZW, TXT, KFX formats in batch. 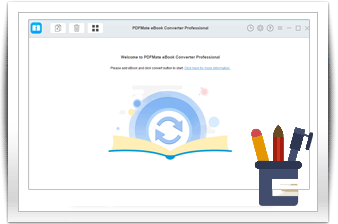 A professional eBook Converter specializing in converting DRM-ed and DRM-free eBook in up to 24 input formats to other popular formats like EPUB, MOBI, PDF, AZW, TXT, KFX. 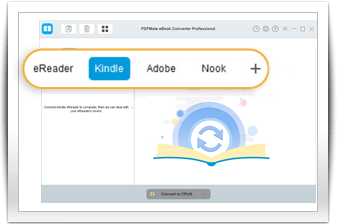 Besides, PDFMate eBook Converter is a powerful eBook removal tool which can easily remove DRM from Kindle, Adobe, Kobo & Nook eBooks, helping you to read your books anywhere you like. 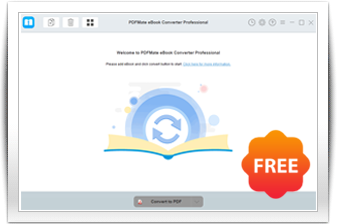 PDFMate eBook Converter is an easy-to-use yet powerful eBooks converter. With it's intuitive interface, you can easily convert your ebooks to the format you want. 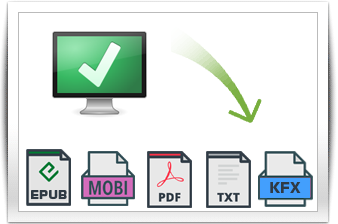 Once you connect your eReader device to the computer, PDFMate eBook Converter will automatically detect and scan it. All your eBooks will be listed on the left in a few seconds.